As one of the most popular gathering places between friends and family during the summer, it’s important that your fire pit is well-built and aesthetically pleasing. 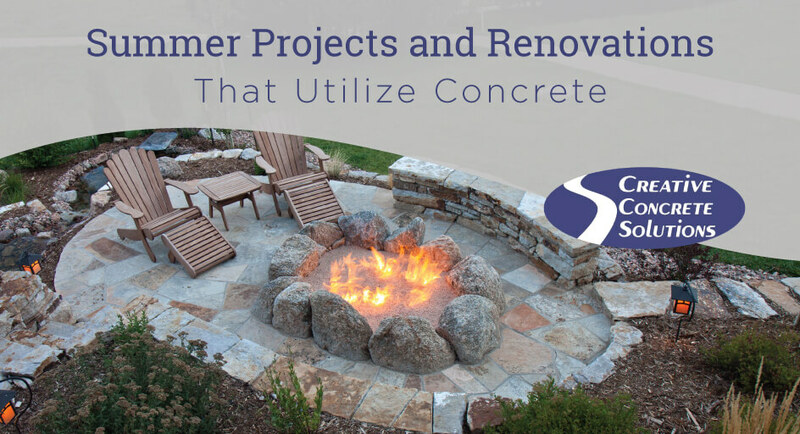 While a fire pit can be a DIY project, it’s even better to contact a concrete professional who can bring what you’ve envisioned to life. Concrete is a diverse and durable material. Another way to implement it into a summer project is to create your own planters for either indoor or outdoor use. Creating planters out of concrete allows you to shape them to your personal aesthetic, all the while knowing that they will be able to withstand the elements if placed outside. As mentioned above, concrete is a material that’s able to withstand the elements. Throughout Middle Tennessee’s heat, rainfall, and other forces of nature, concrete stepping stones can serve as a long-lasting decorative feature if you choose to go this route for one of your summer projects. If you’re considering a renovation or project on a larger scale, concrete can and should be an integral part of getting the job done. Whether you’re looking to redo a driveway, patio, or pool deck, or you make the decision to branch out of the box by building an outdoor kitchen, a concrete professional can help with whatever project you seek to accomplish. Contact Creative Concrete Solutions in Middle Tennessee for all of your concrete needs this summer and throughout the year.